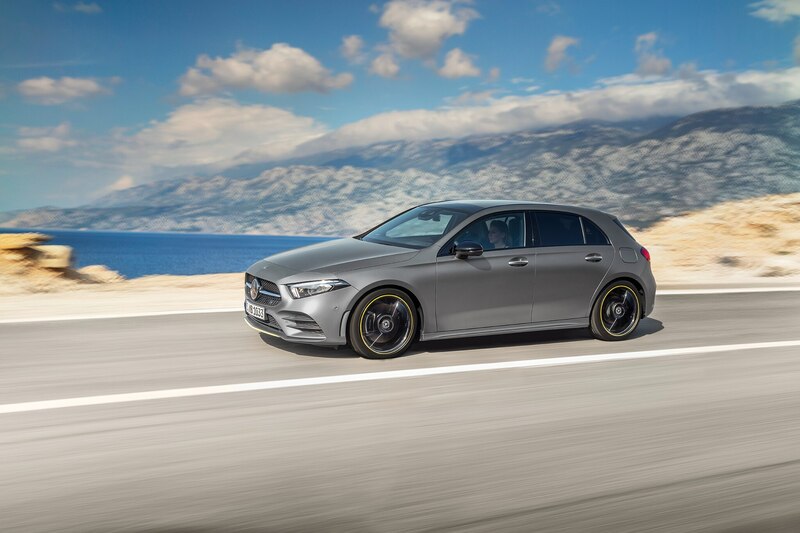 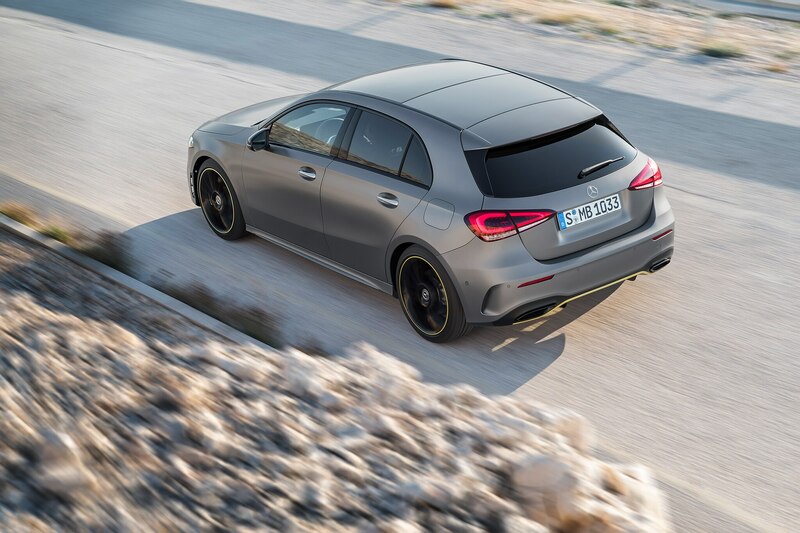 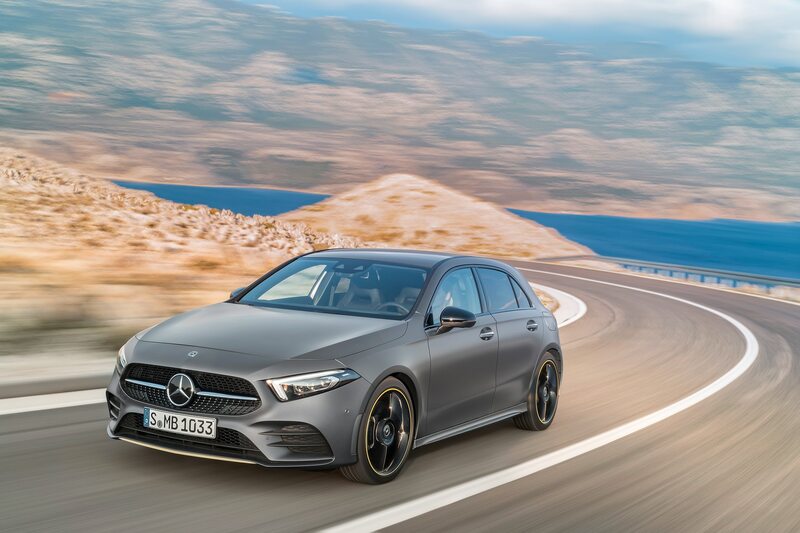 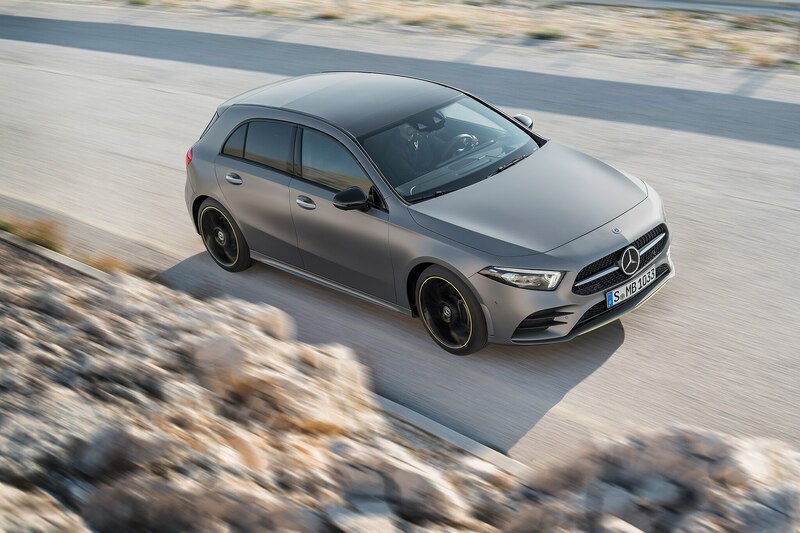 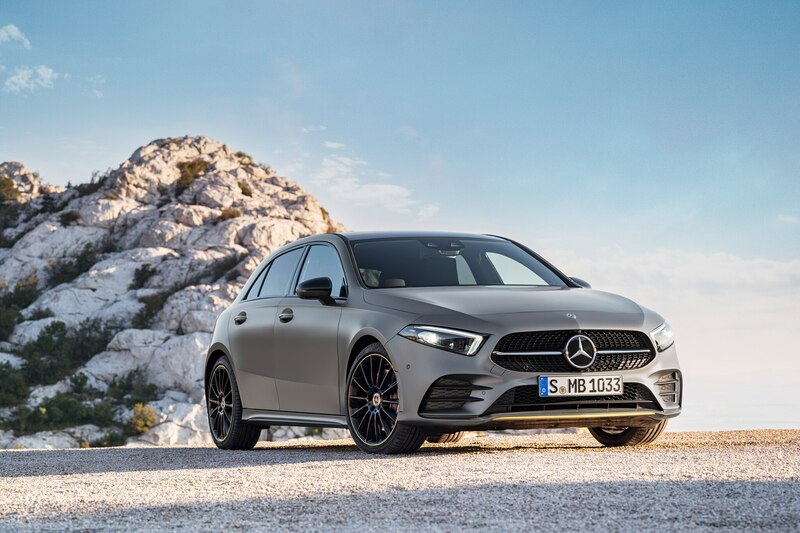 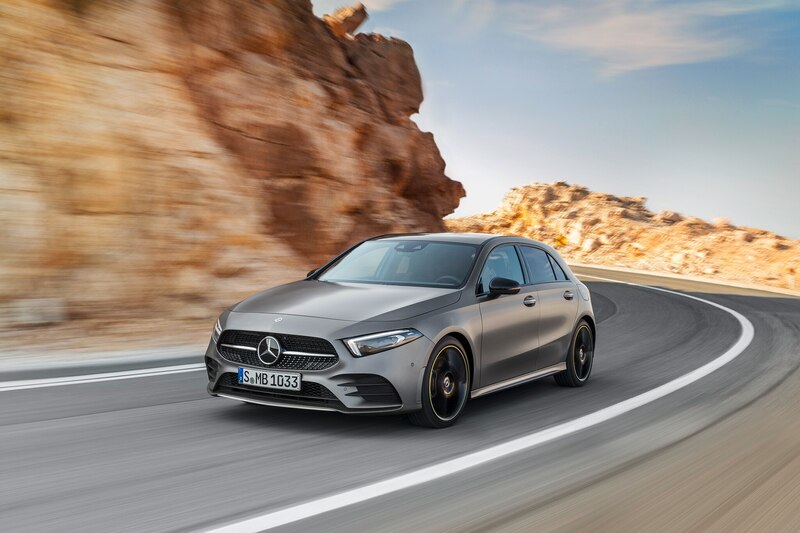 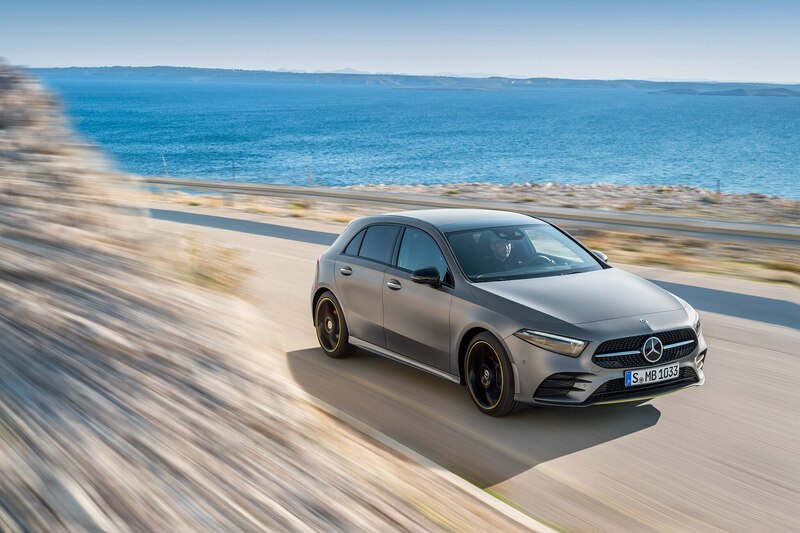 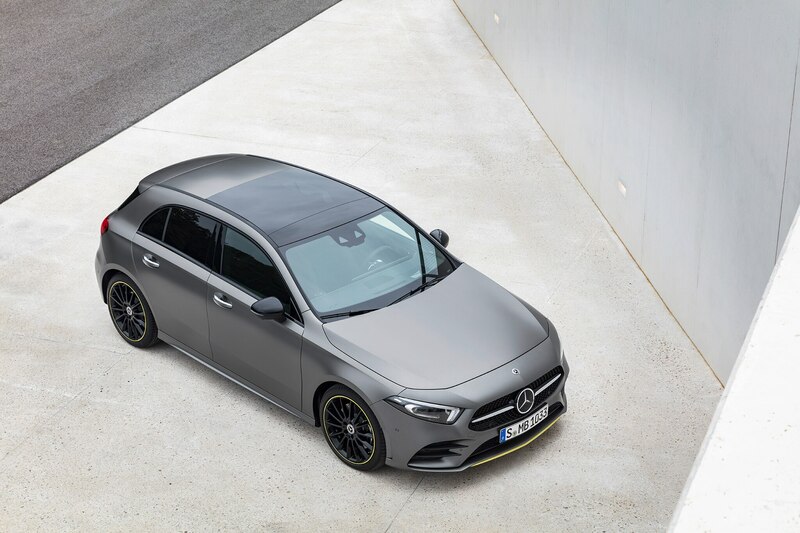 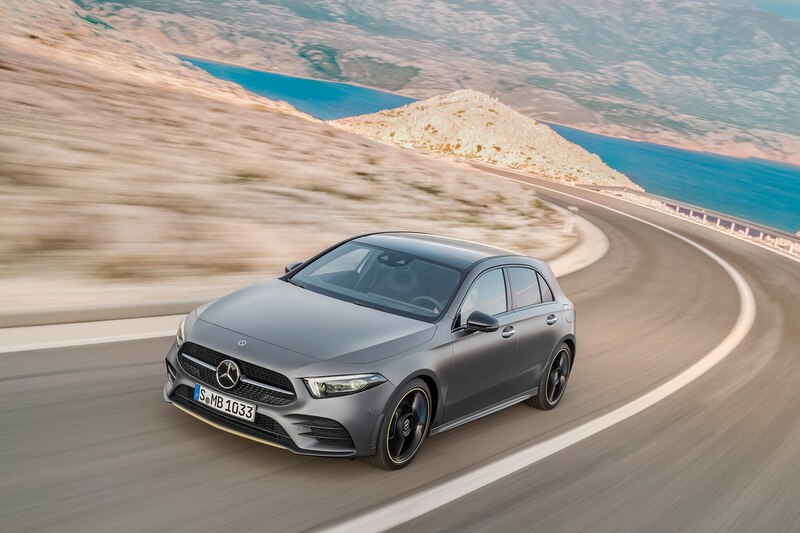 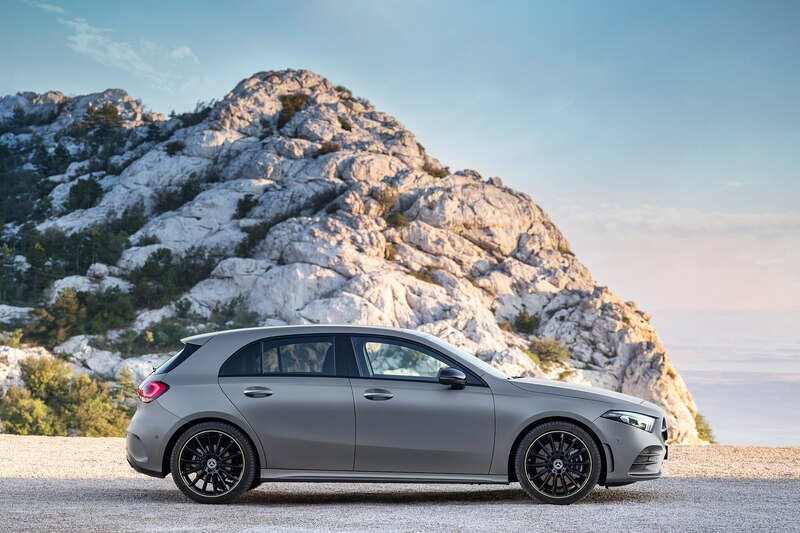 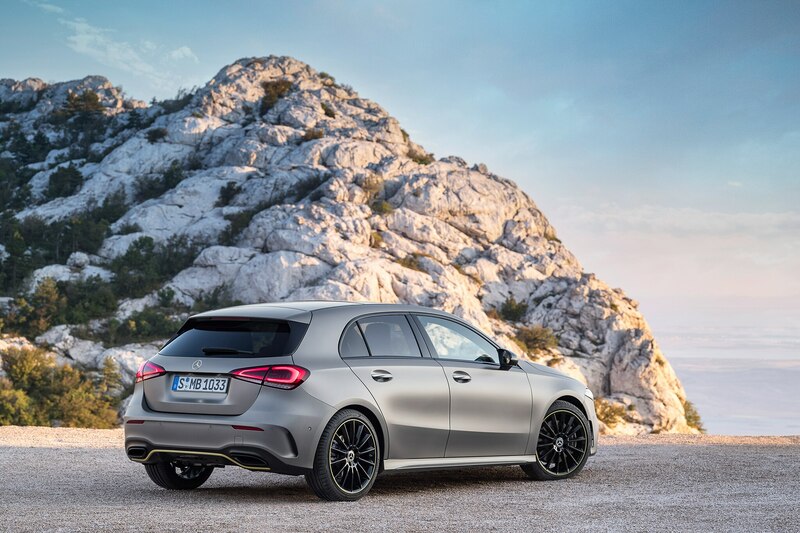 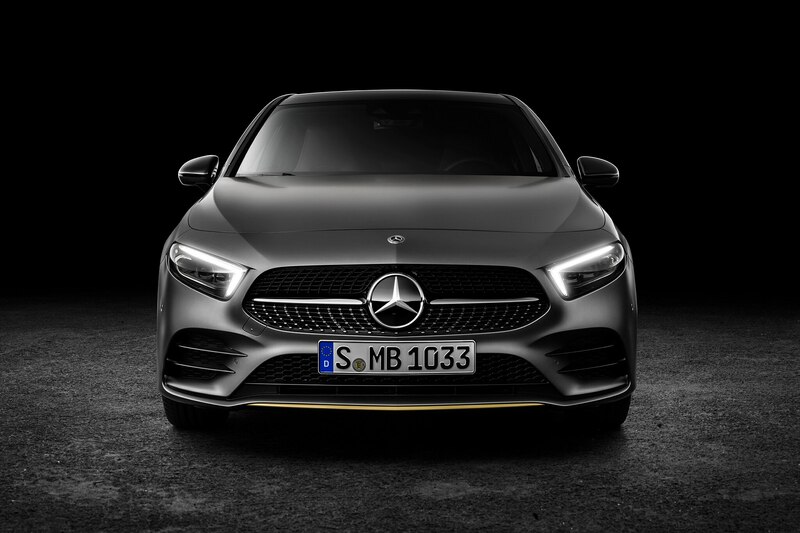 Hatch previews the sedan we can expect here in the U.S.
a href="https://www.automobilemag.com/news/mercedes-benz-glb-class-caught-for-the-first-time/">Mercedes-Benz will introduce the A-Class sedan to the U.S. market this year. 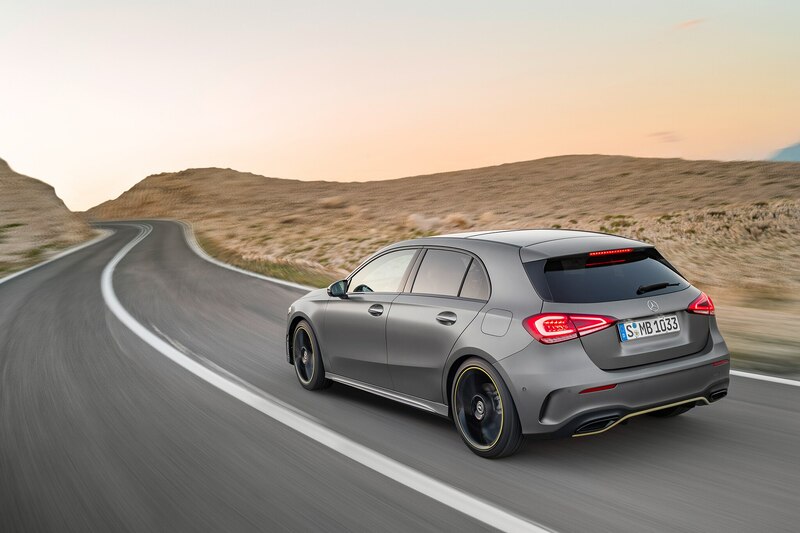 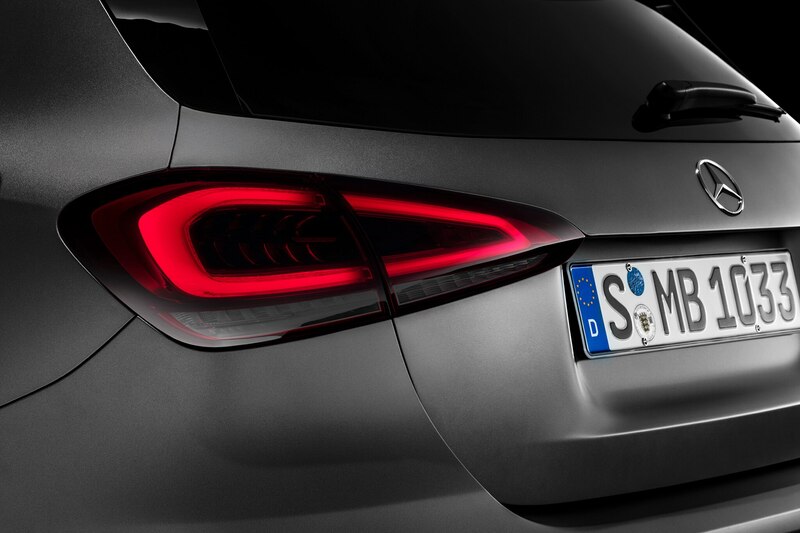 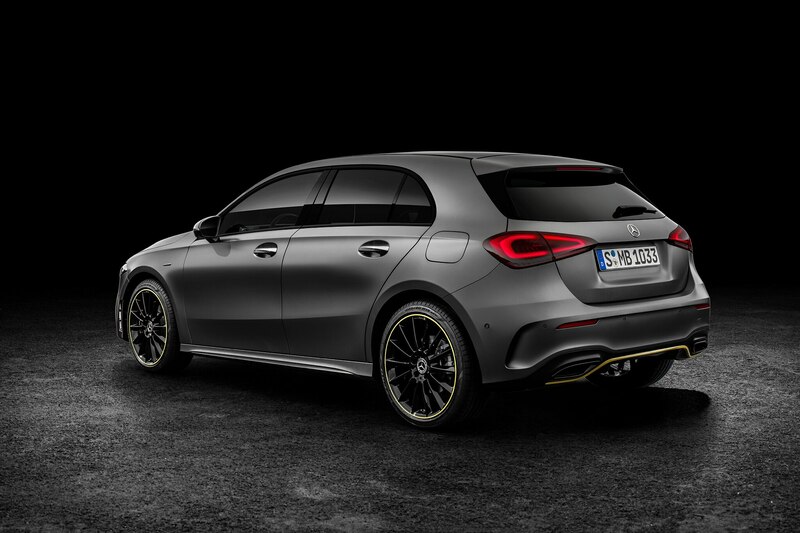 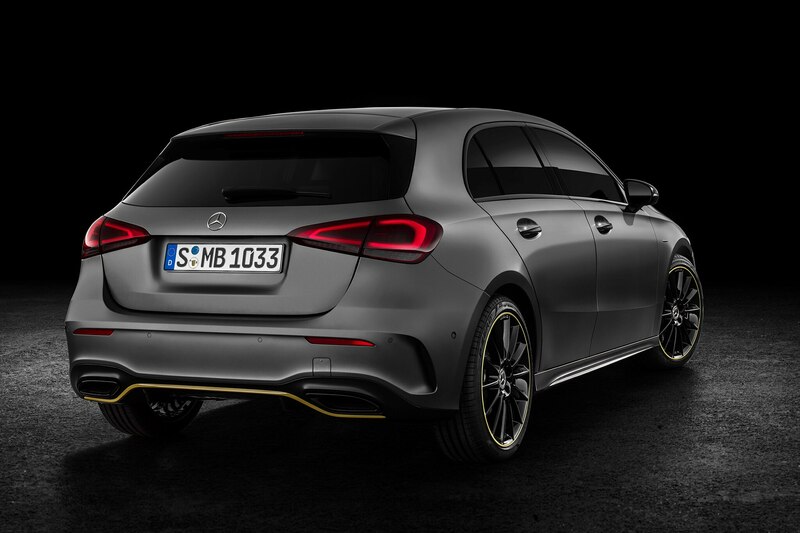 In the meantime, the new A-Class hatch that just debuted in Amsterdam is our best look yet at what to expect. 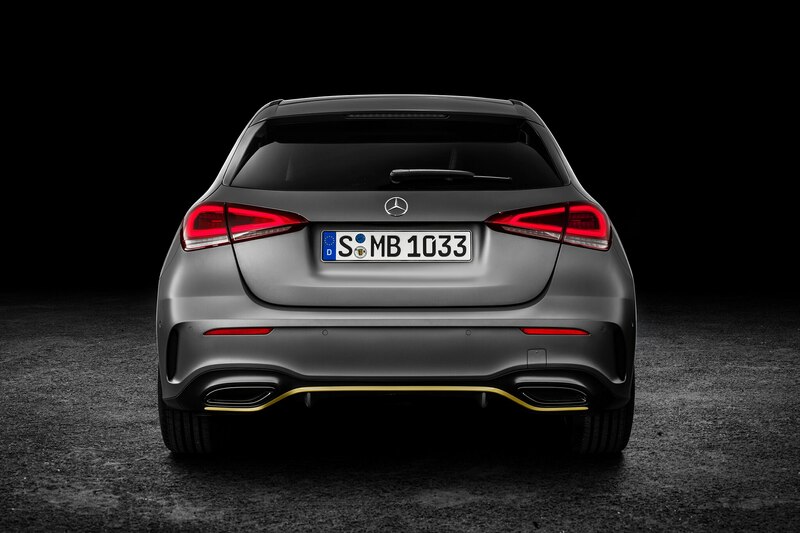 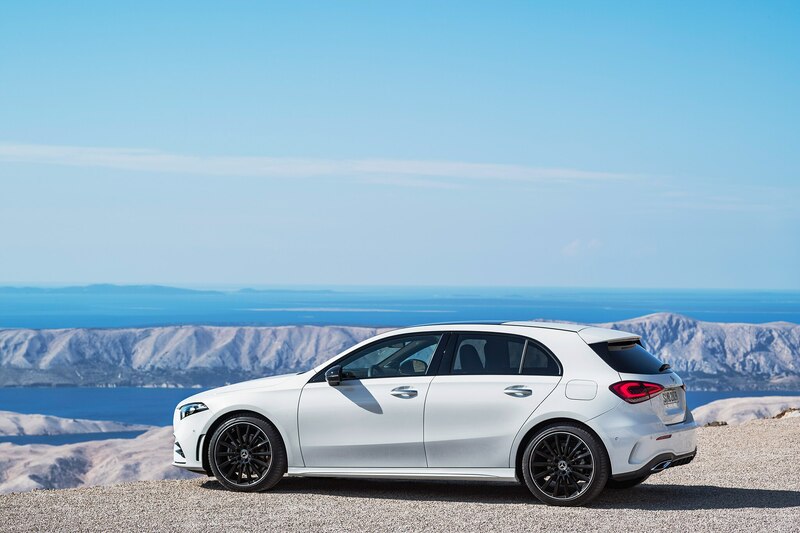 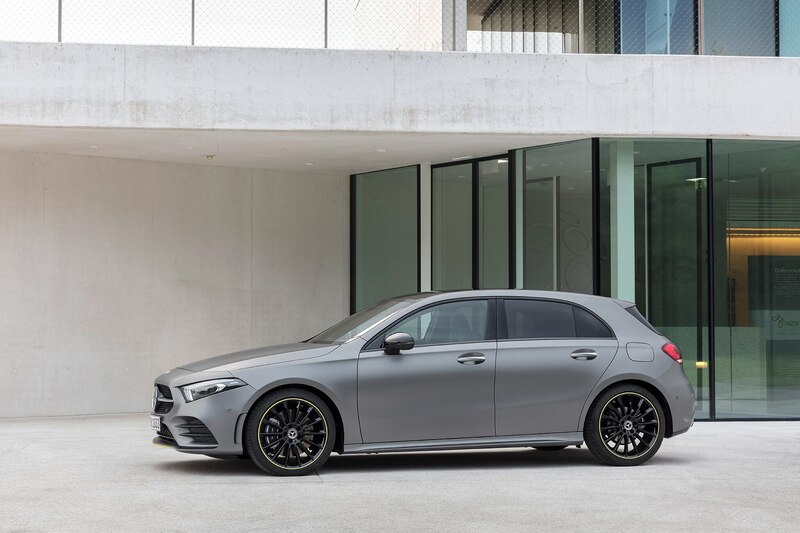 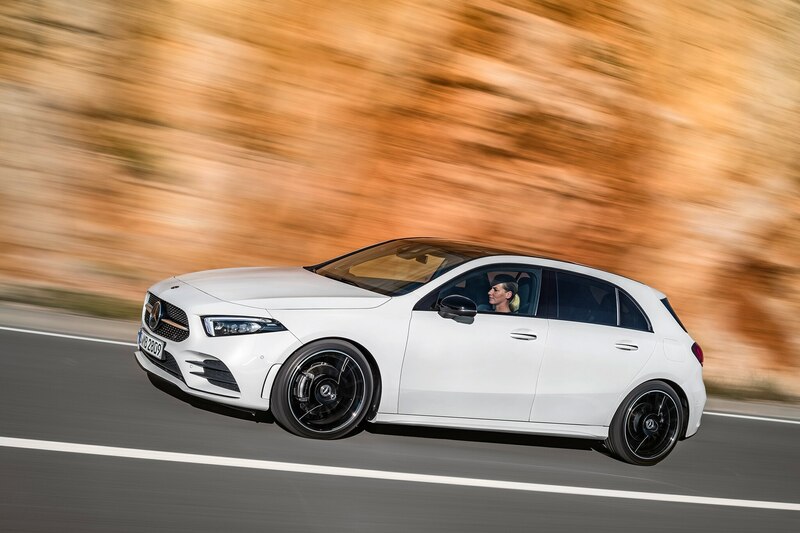 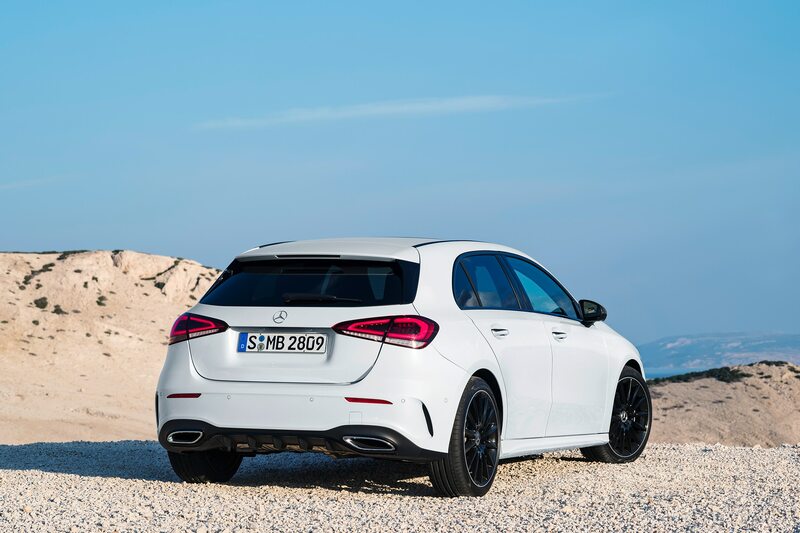 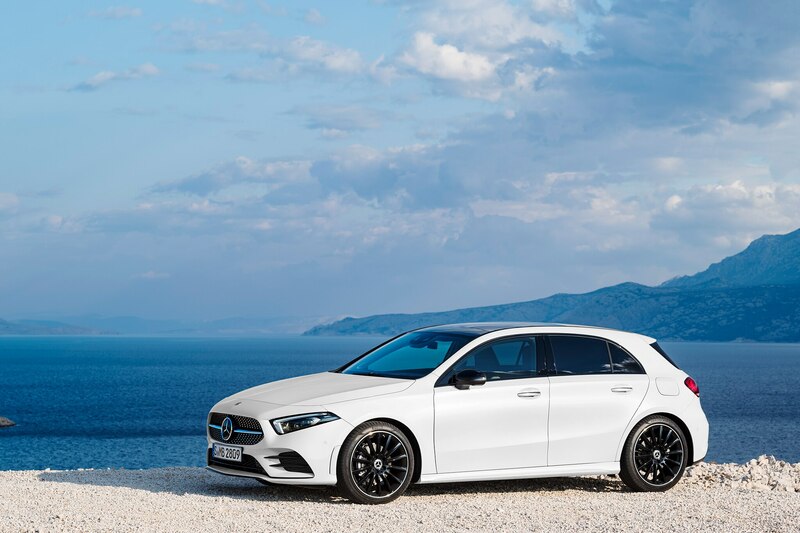 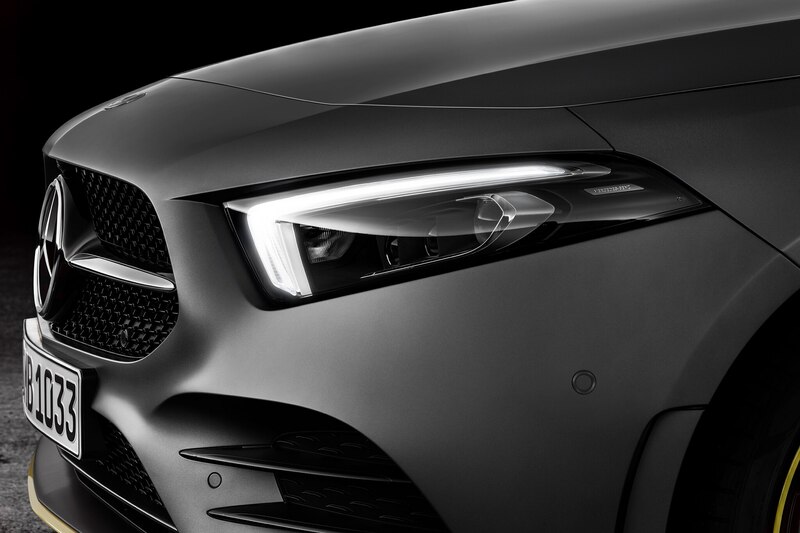 The A-Class features a radiator grille with a diamond pattern. 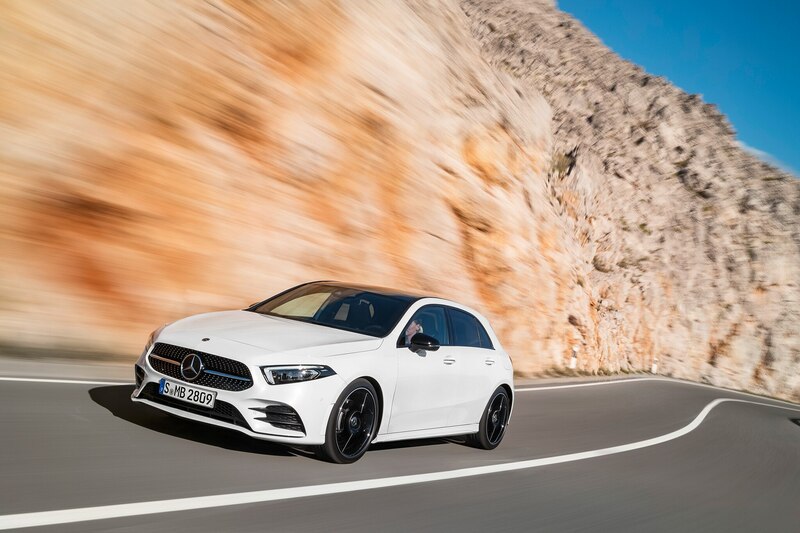 The hood slopes down more compared to its predecessor, and you’ll also notice larger wheel arches that hint at the model’s athletic aspirations. 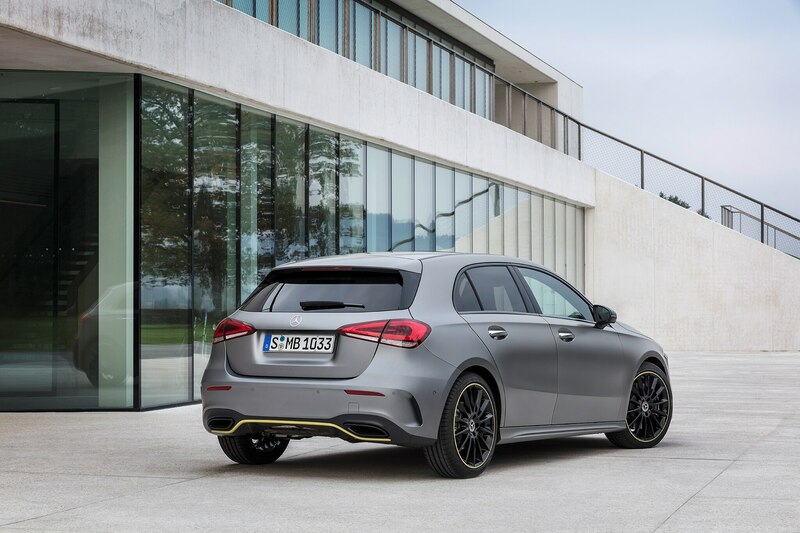 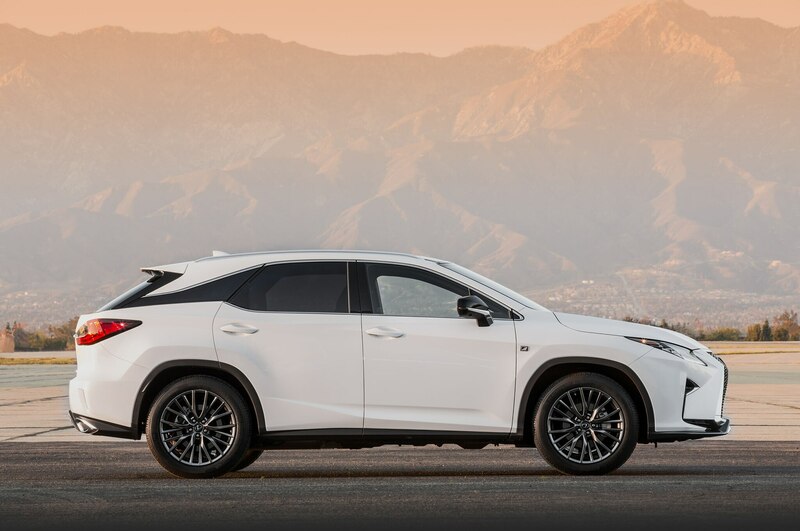 An optional two-section Airpanel with adjustable louvres improves aerodynamics. 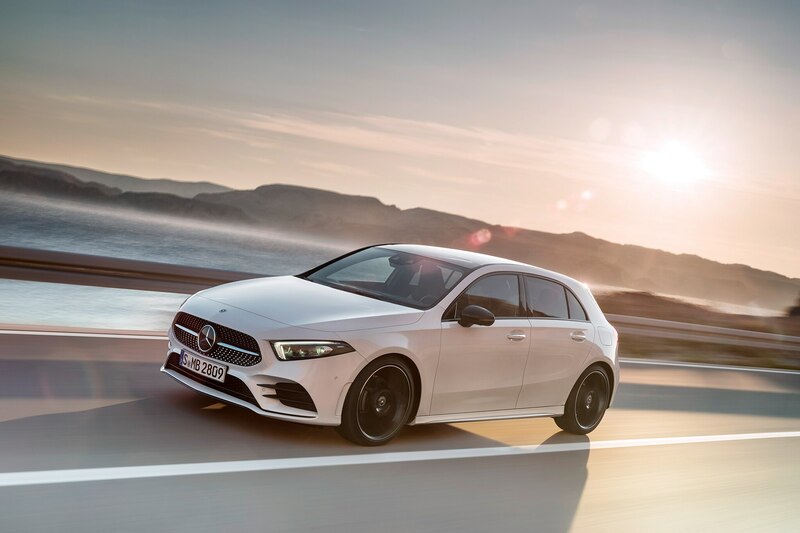 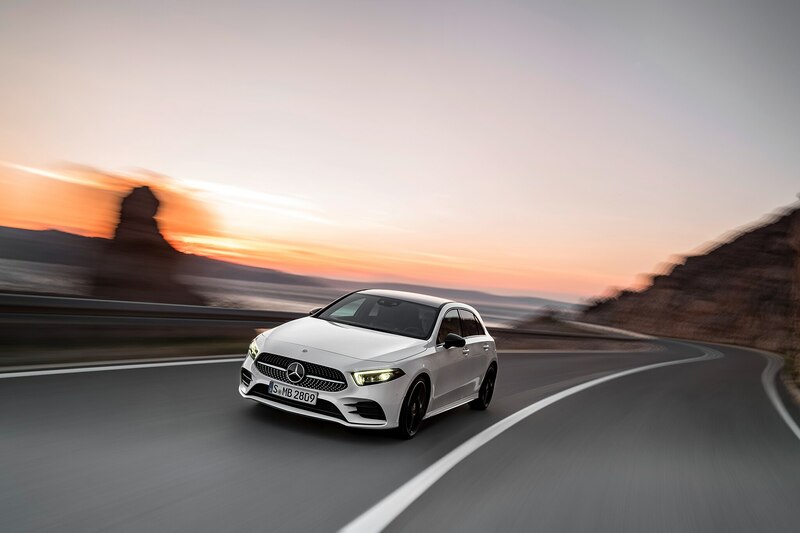 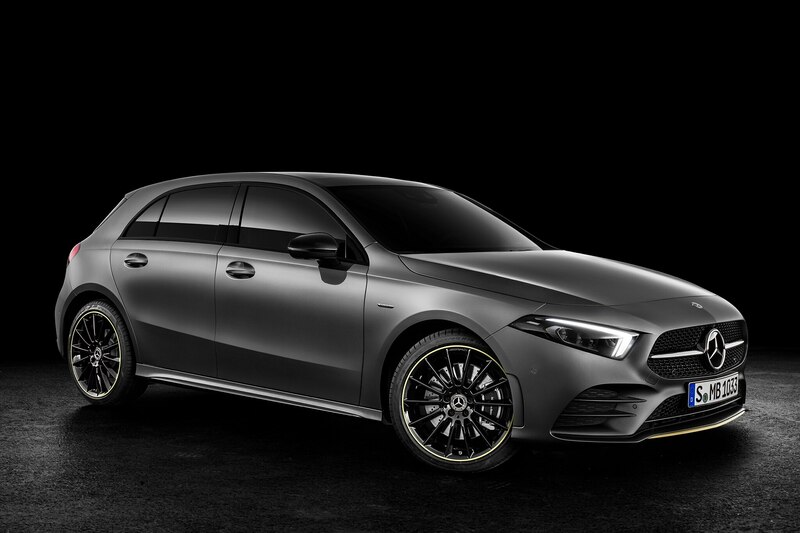 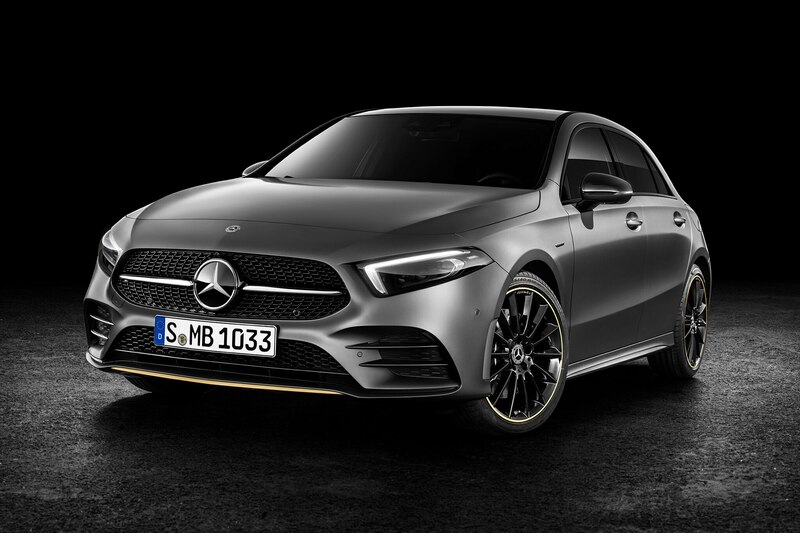 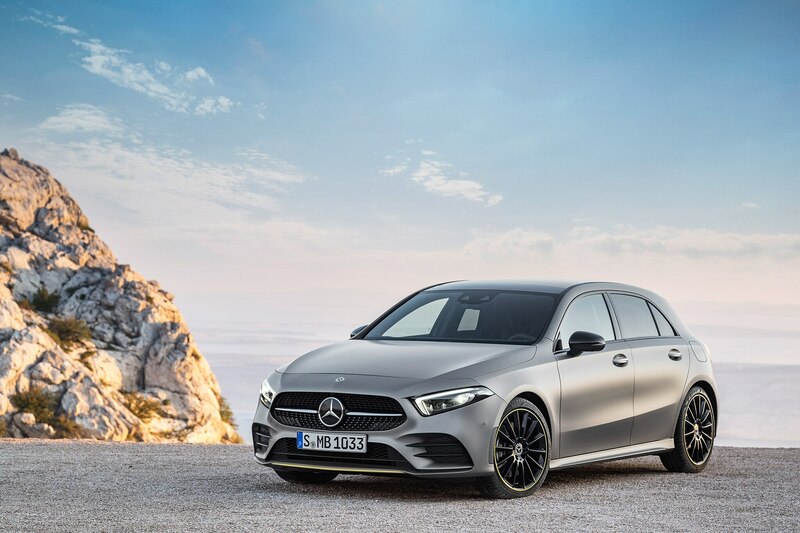 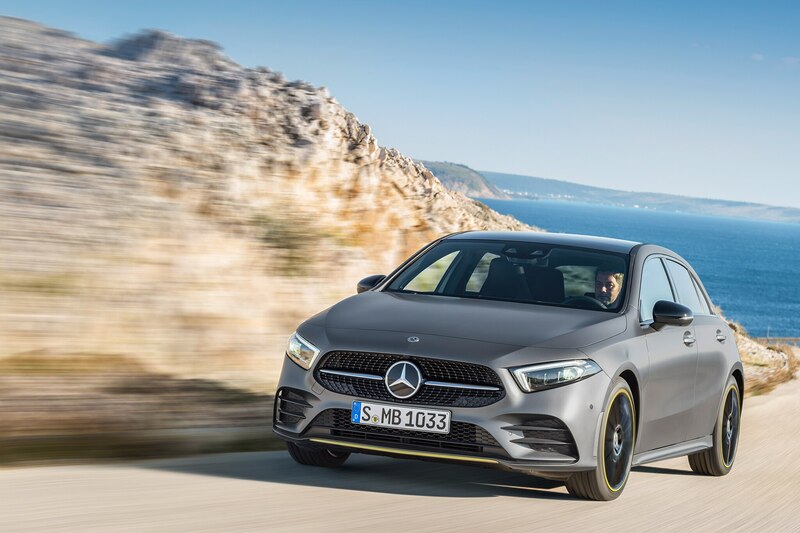 As the many teaser images previewed, the new A-Class’ front end bears a strong resemblance to that of the 2019 Mercedes-Benz CLS. 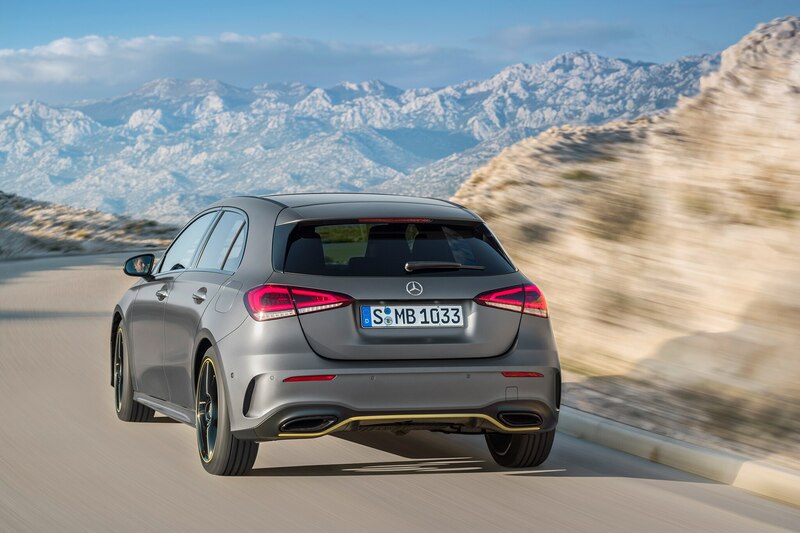 Although it’s a compact car at the lower end of the price spectrum, Mercedes didn’t shy away from upscale touches. 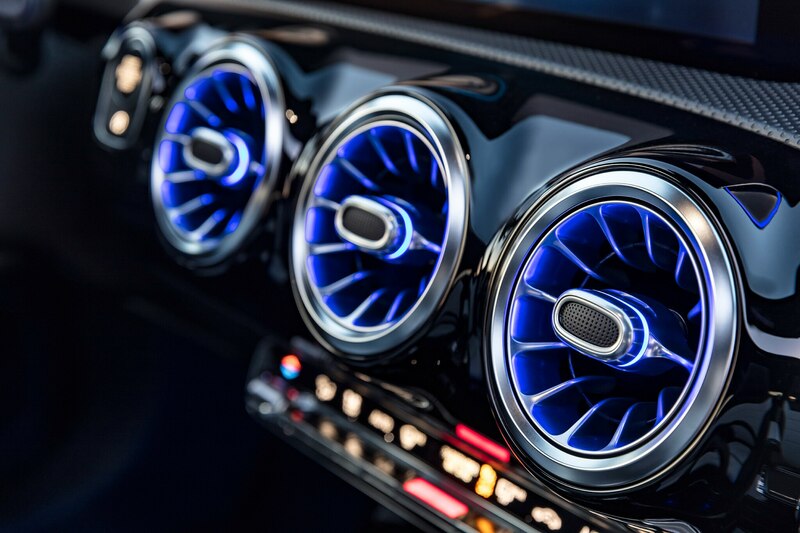 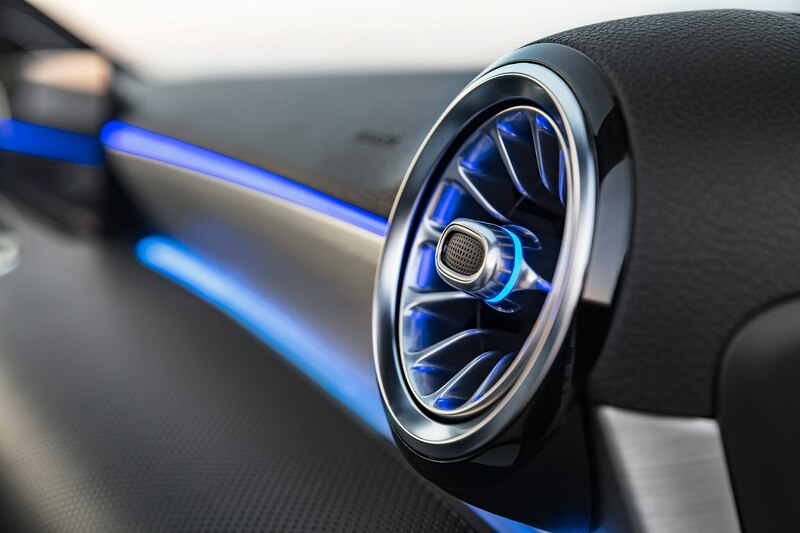 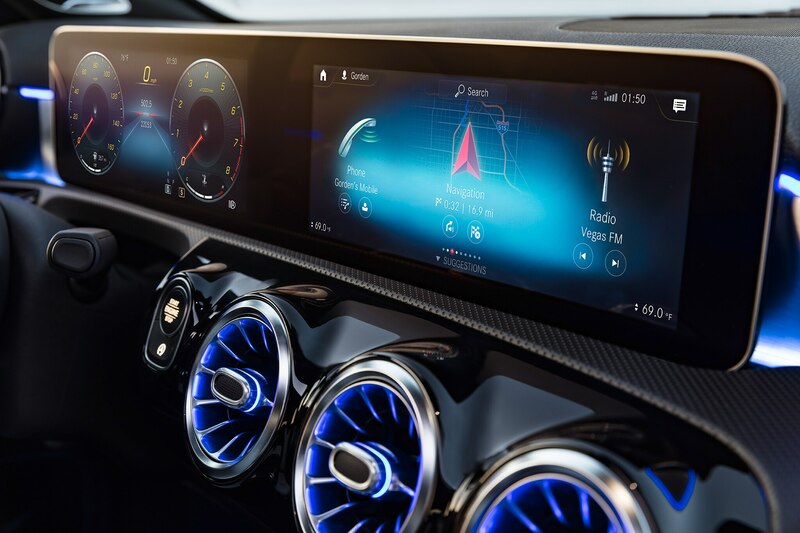 As previewed at the Consumer Electronics Show, the model gets goodies from higher models in the lineup, including ambient lighting with the choice of 64 colors, circular air vents, and a widescreen display over the dashboard. 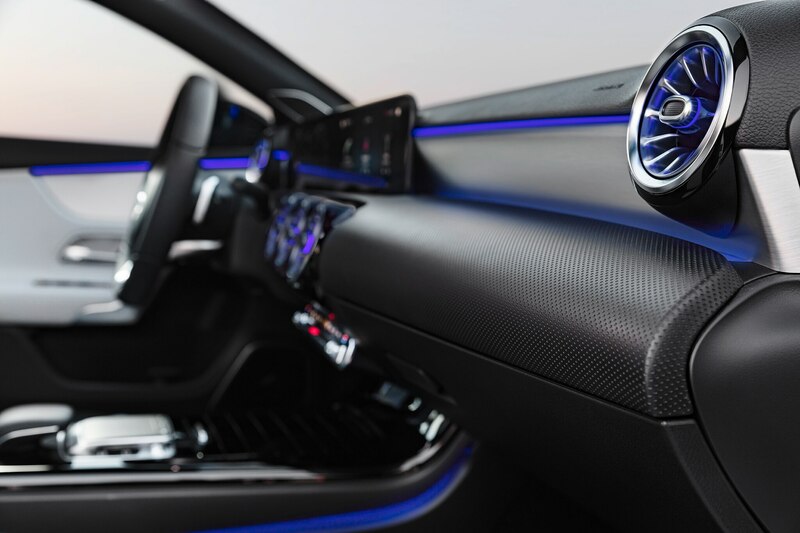 In addition to voice commands, drivers can also control the car via the new touch capability on the infotainment system, touchpad on the center console, or touch control buttons on the steering wheel. 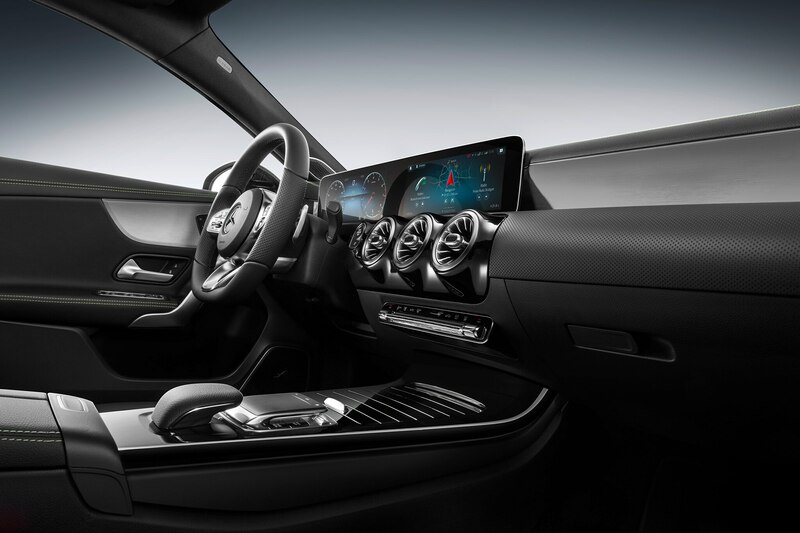 The model also offers head-up display, more cargo space, and massaging seats and seat climate control. 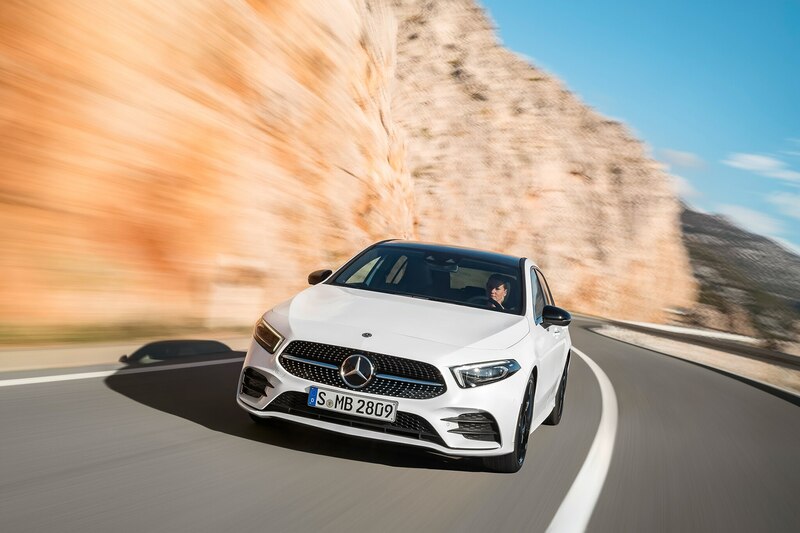 The model also features semi-autonomous driving technologies, including an adaptive cruise control system with active steering assist. 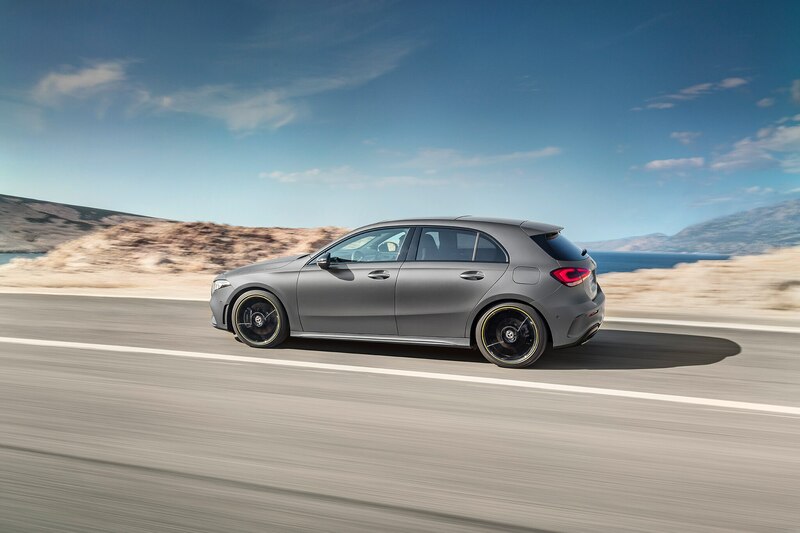 With active lane change assist, available in certain markets, drivers can simply hit the turn signal, and the system will help move the car to the indicated lane when safe. 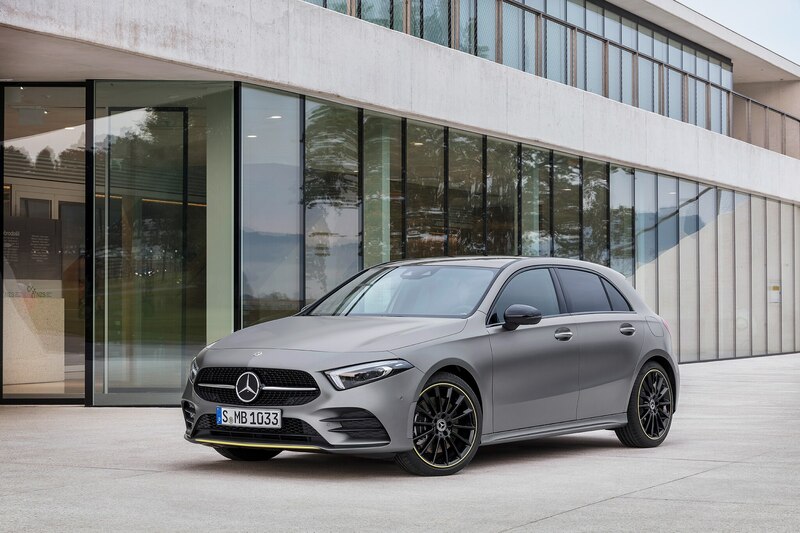 Other features include autonomous emergency braking, blind spot assist, and evasive steering assist that can help a driver avoid pedestrians. 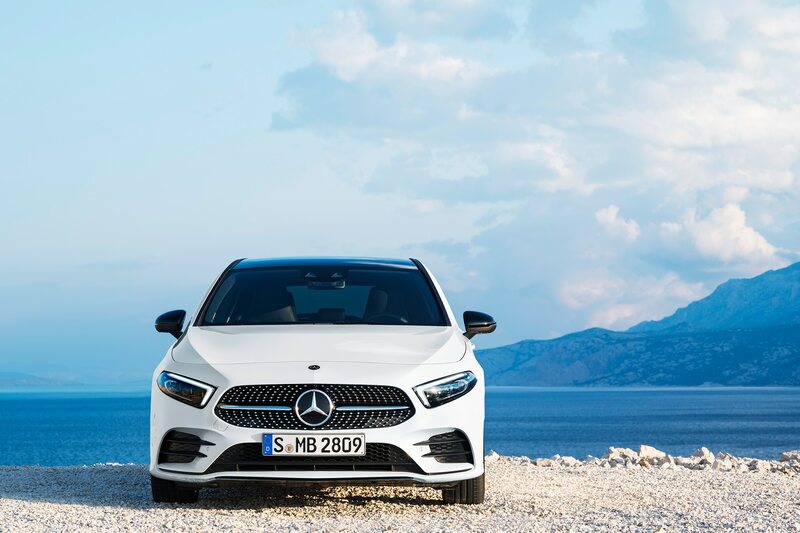 Although we don’t know which engines will come to the U.S., three will be available at launch for the A-Class globally. 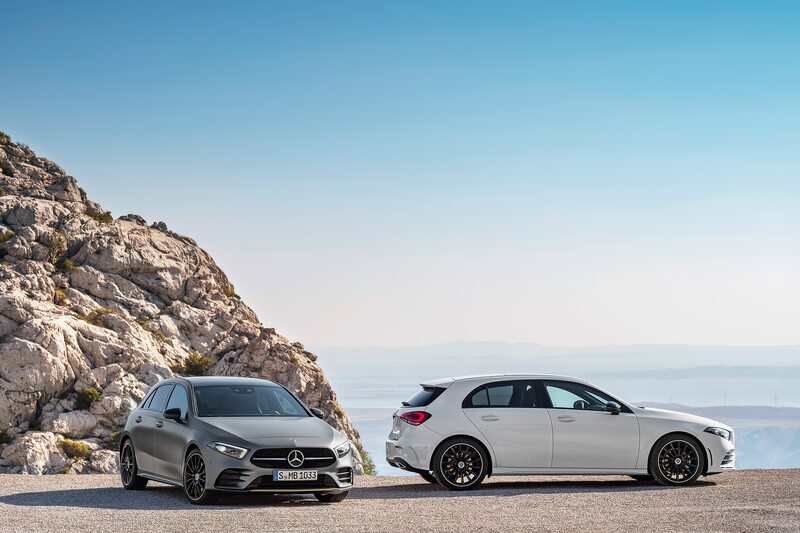 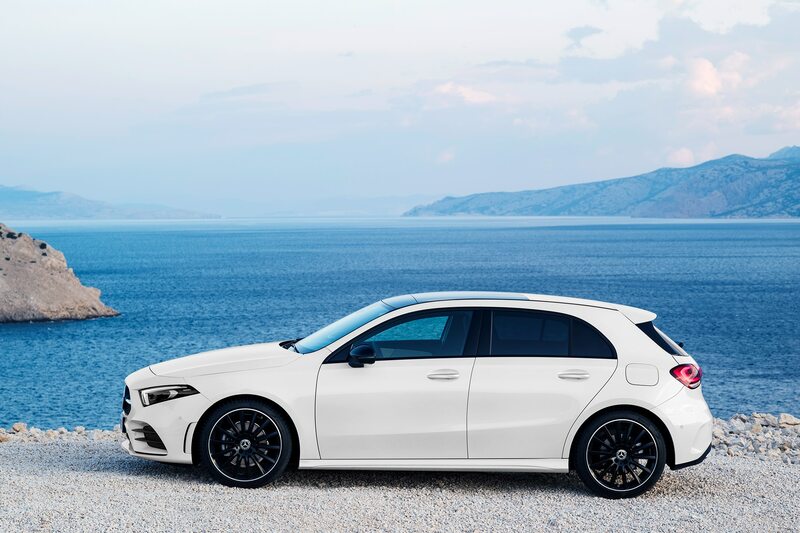 These include two four-cylinder gas engines–one with 163 hp and the other with 224 hp–and a 1.5-liter diesel with 116 hp. 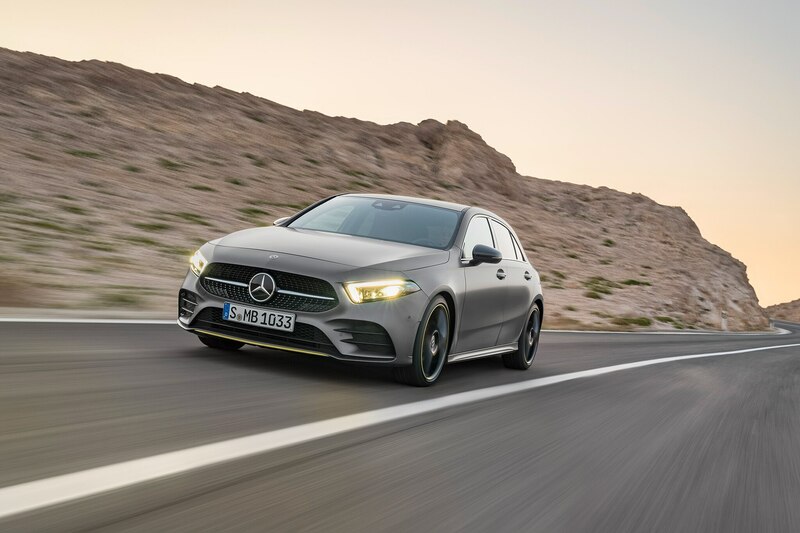 All of these come with a seven-speed dual clutch transmission, although a six-speed manual is available on the gas engine with the lower output. 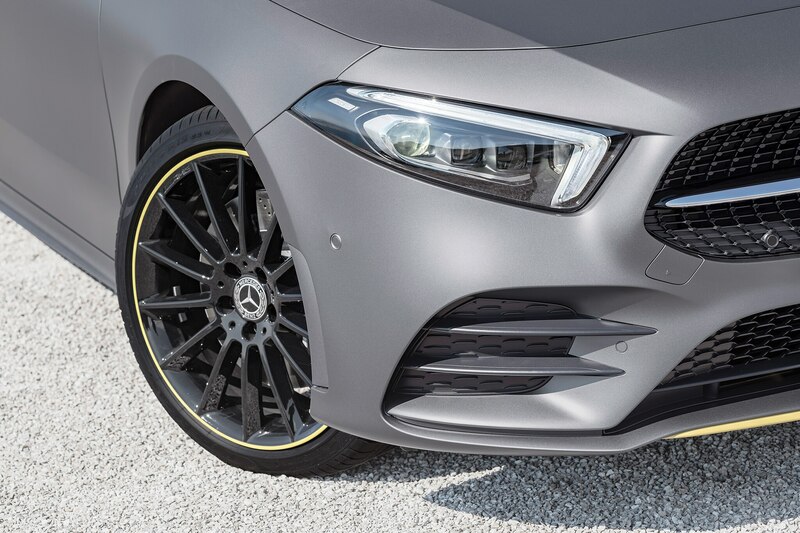 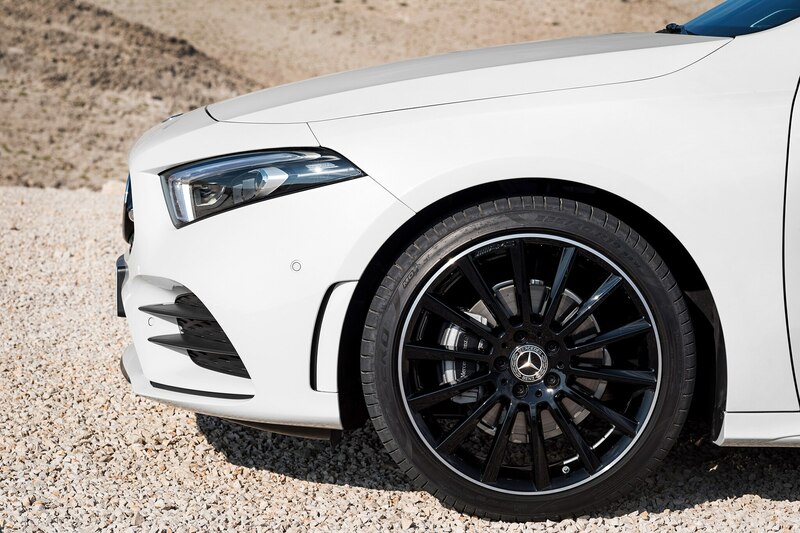 The new A-Class has a McPherson front suspension. 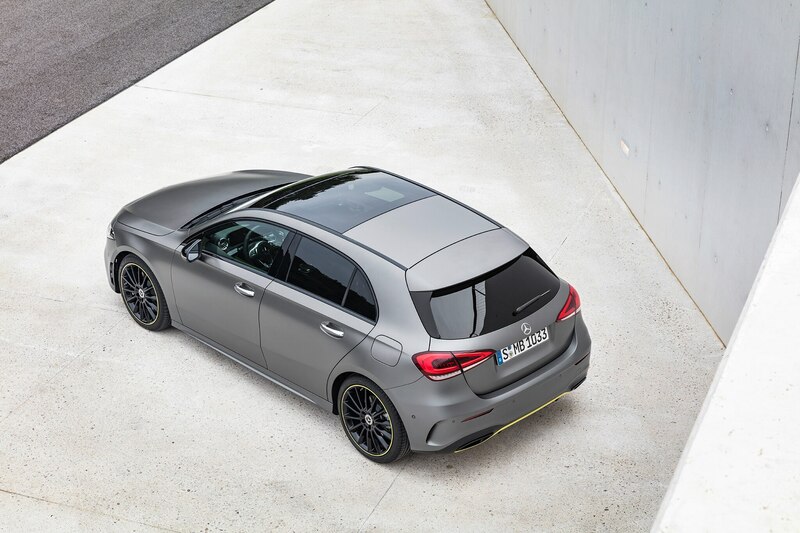 Some models receive a torsion beam rear suspension, while upgraded versions have a four-link rear suspension. 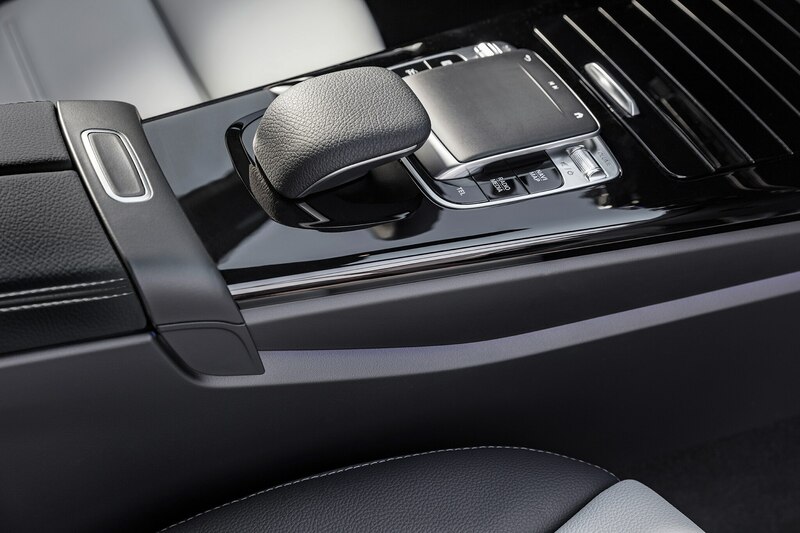 Dynamic Select allows drivers to adjust the car’s suspension settings. 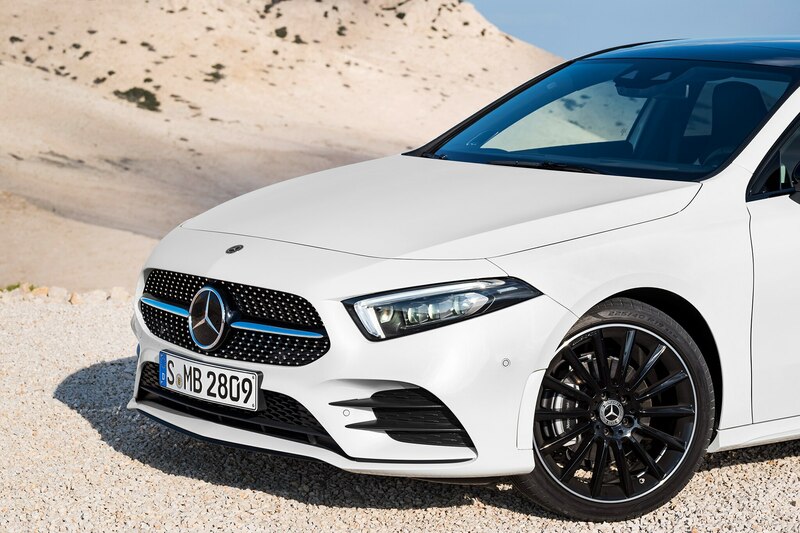 Globally, buyers can order the A-Class starting this March. 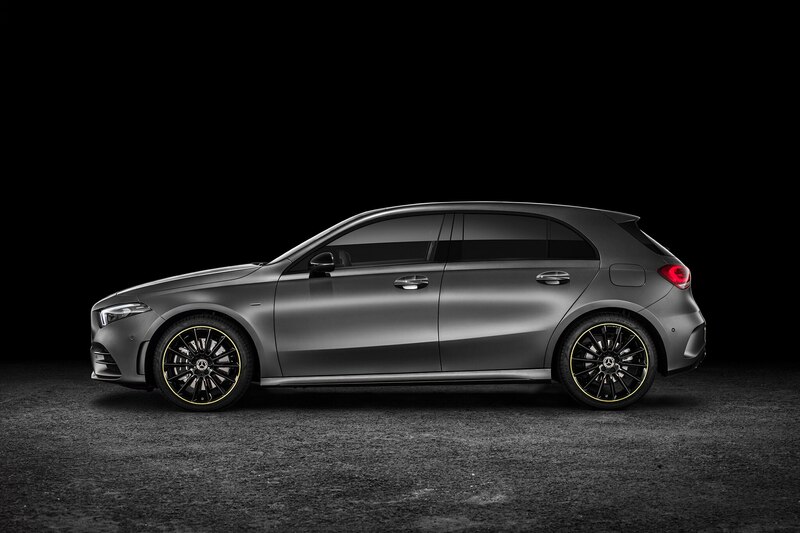 Deliveries begin in the spring.